Drexel University’s PA SNAP-Ed/Eat Right Philly program is a partner to the Pennsylvania SNAP-Ed Program (PA SNAP-Ed) and the School District of Philadelphia’s Eat Right Philly. We work with students, adults, families, and staff in schools and community sites to foster positive healthy habits related to nutrition and physical activity. 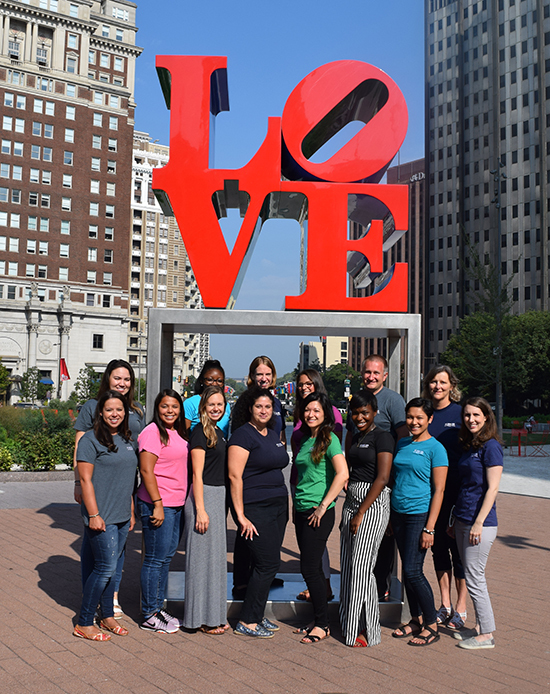 Drexel’s nutrition educators serve approximately 70 schools in the School District of Philadelphia conducting in-class and after-school programming utilizing evidence-based curricula, interactive activities, healthy promotions, food tastings, gardening, and other opportunities to engage students, families, and staff. In our community sites, Drexel nutrition educators conduct lessons and cooking demonstrations, distribute nutrition information, assist with food pantries, and work with other community groups to give participants the tools needed to make healthy food and activity choices. Drexel’s PA SNAP-Ed/Eat Right Philly program is a partner to the Pennsylvania SNAP-Ed Program (PA SNAP-Ed) and is funded by the US Department of Agriculture (USDA) Supplemental Nutrition Assistance Program (SNAP) through the PA Department of Human Services (DHS). PA SNAP-Ed is a statewide program that provides nutrition education to SNAP eligible individuals and families. The goal of SNAP-Ed is to foster positive behavioral changes related to nutrition and physical activity in participants.